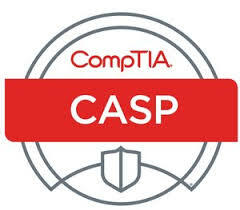 CompTia's CASP Program requires 1 exam to achieve certification. We offer the most comprehensive classroom training and certification testing. You attend training and test for your certification at the same facility. Students will gain the skills to troubleshoot via customized hacks and build solid solutions. Students will also gain the skills to demonstrate that you can provide the best cybersecurity solutions and protection for organizations worldwide. We use CompTia Courseware covering information specific to the exams. Our instructors hold all relevant CompTia Certifications.